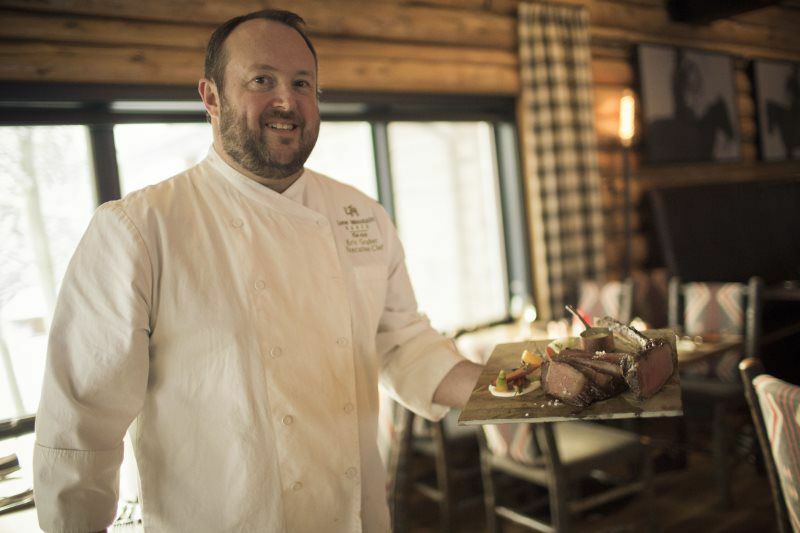 Though Horn & Cantle’s executive chef, Eric Gruber, is in love with Montana’s wilderness, it’s a far cry from the white stucco and sparkling surf of his California hometown. Raised in Santa Barbara’s resort culture, Gruber was inspired by its Spanish-influenced architecture and cuisine to cultivate a more global palate. He attended Scottsdale Culinary Institute and the Culinary Institute of America in Napa Valley before returning to Santa Barbara to cook at the Four Seasons Biltmore. It wasn’t long before Gruber’s restless spirit sought a new adventure. After traveling to the Pacific Northwest to be executive sous chef at the Mayflower Park Hotel in Seattle, he accepted the coveted role of Executive Chef at the La Jolla Country Club and Rancho Santa Fe Golf Club in San Diego. Gruber would go on to lead the kitchen at the Shore Lodge/Whitetail Club in McCall, ID and the La Jolla Marriott and W Hotel in San Diego before realizing, at long last, he was more at home among snowfall and trout streams than he ever was in the Sunshine State. Gruber’s decision to join the team at the Lone Mountain Ranch had as much to do with his love of fly-fishing as his hopes and dreams for his two children: “I had always wanted to raise [them] somewhere that was still ‘wild.” His daily commute, which features bison, big-horn sheep, elk, and even bald eagles, is proof enough that Big Sky is the perfect place for their wild and wonderful childhoods.